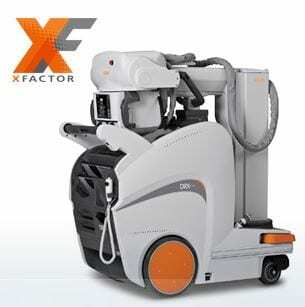 Designed for productivity and equipped with a choice of Canon digital flat panel detectors, this portable x-ray system is like having a radiography room on wheels. Fast processing times make it easy to capture high-quality diagnostic images for routine diagnosis or trauma. 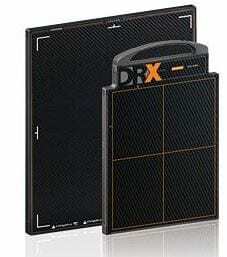 Provides flexibility in patient positioning and the ability to manage or manipulate images at bedside. Digital radiology is on the move like never before with the CARESTREAM DRX-Revolution Mobile X-ray System. 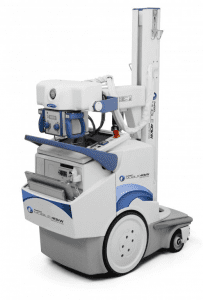 The industry’s only mobile x-ray system with a fully automatic collapsible column has arrived. The days of blindly navigating tall, bulky units through hallways and around bedside monitors are over. Powered by a wireless DRX detector, this x-ray room on wheels drives like a dream and gives you fast, high-quality images. Please contact us if you have any questions about any of our Products or Services.